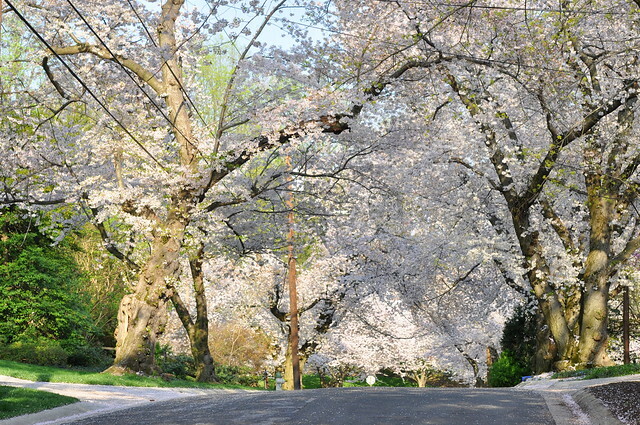 Let’s go back to the cherry blossoms in Kenwood, shall we? There’s just nothing like that spring green color–it’s a perfect foil for the blossoms. 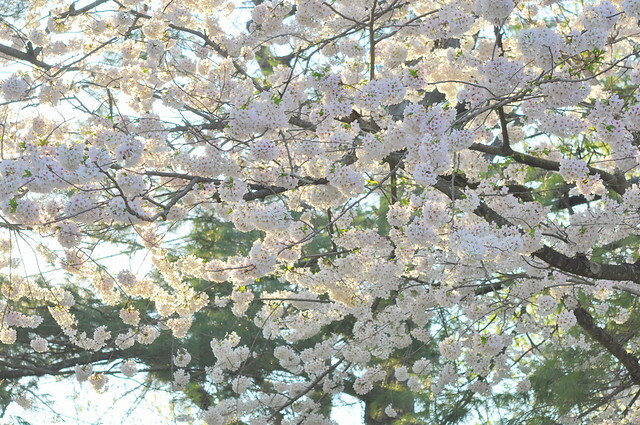 In addition to Yoshino cherry trees, Kenwood has an occasional weeping cherry. I love their shape and wish there were more of them. Maybe they’re harder to grow? 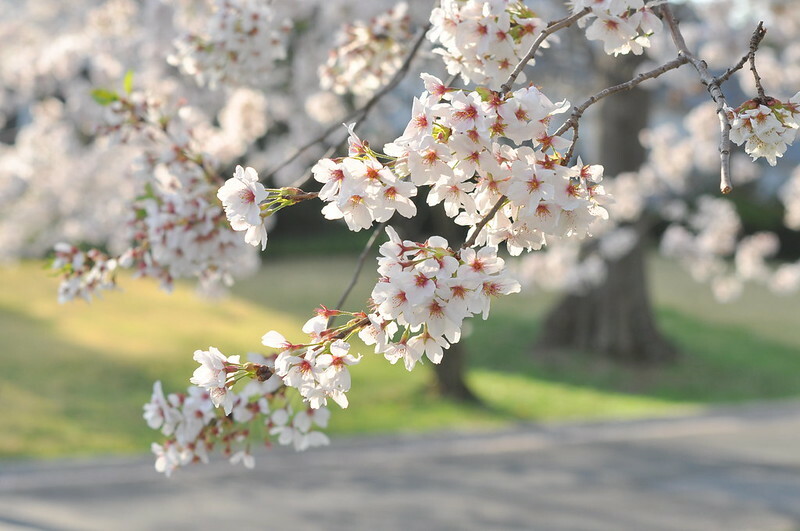 The cherry trees below form the loveliest arches over the street. . . .
Don’t these look like pom poms? As I said on Monday, we got there in late afternoon, so the light was beautiful. 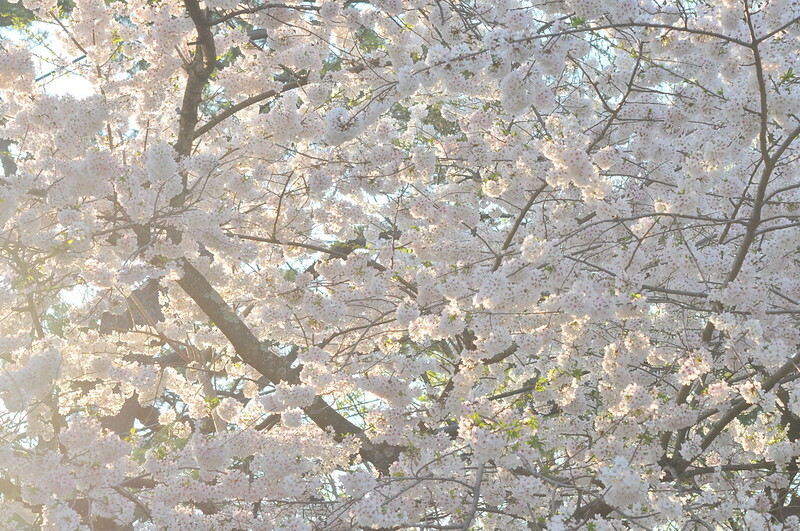 See how the sunlight plays off the blossoms. . . . 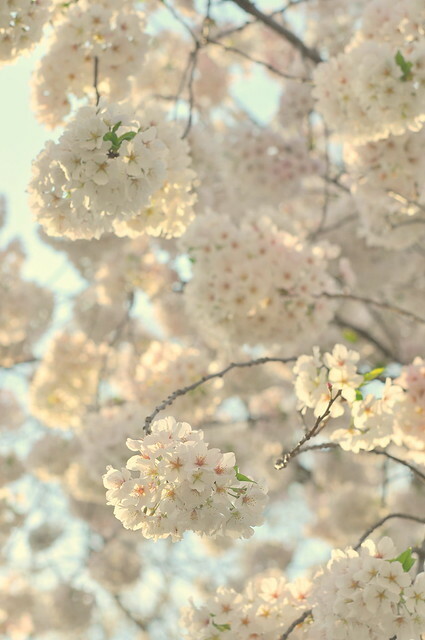 This entry was posted in photography and tagged bokeh, Kenwood, maryland, sun flares, weeping cherry tree, Yoshino cherry blossoms. Bookmark the permalink. Thank you, Thoughtsy! Did you ever make it to the Tidal Basin? I appreciate the kind comment so much. Wonderful…my allergies would go crazy, but I wouldn’t care. So beautiful! Luckily I’m only allergic to ragweed in the fall. Hope you don’t suffer in London this spring. Really beautiful photos; calling them fairy trees is so fitting! The pom poms are gorgeous! I’m bedazzled by this array. Gorgeous shots, Carole. The perfume must be heady! Thanks, Cheryl. They’re actually not scented–just a light fresh green aroma. I think if they had a strong perfume, the people in the neighborhood would pass out! 🙂 I would love to walk in a big grove of lilacs, however. I want to replace our plum tree with a cherry tree soon – it’s on its last legs. 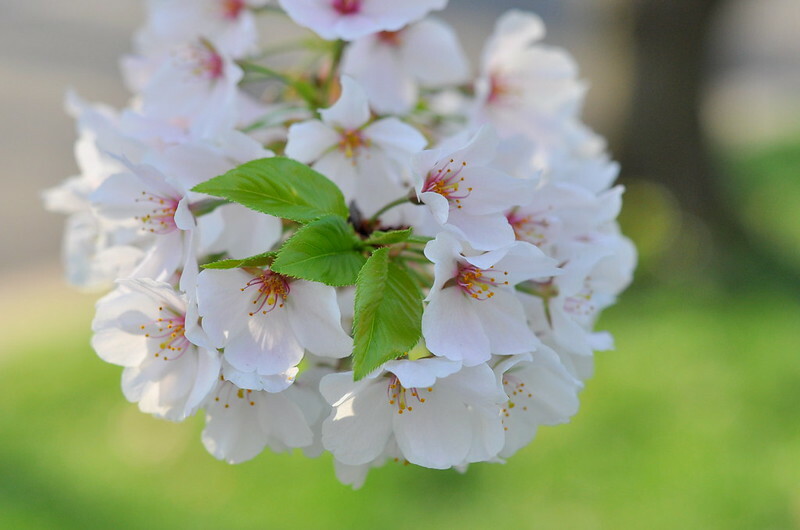 The cherry has fuller branches and leaves. 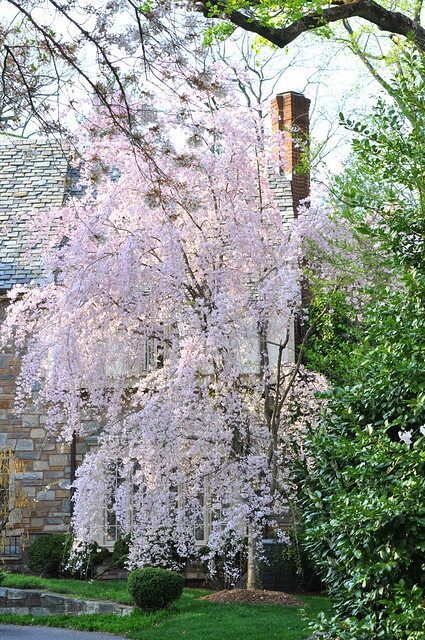 Love the beautiful weeping cherry trees! So pretty.